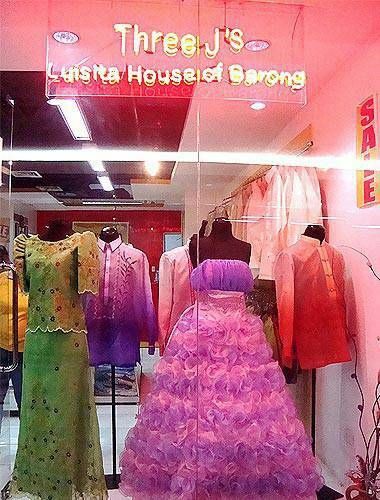 Filipiniana Fashion Shops – When we talk about Filipiniana, it does not only refer to the terno, but the national costume of “baro’t saya” known in English as blouse and skirt. Today, Filipiniana gowns are not only worn during Presidential inauguration, and Fiestas, but also for those who want to promote the traditional costumes as inspiration for the local fashion. Balikbayan Handicrafts occupies 3 floors of the Makati branch as well as the vast section of its Pasay branch having items which are proudly “Pinoy-made”. 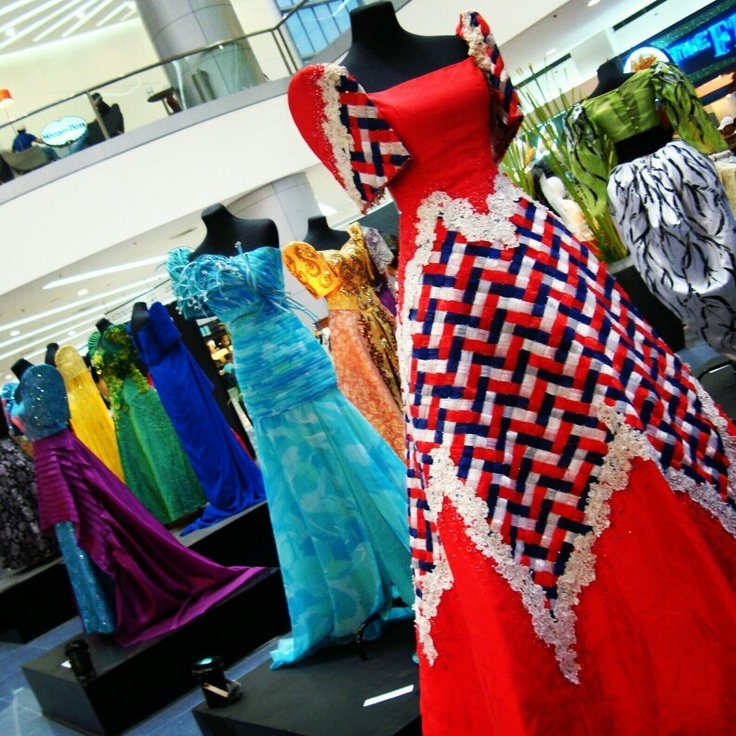 With 40 years of service, would you be amazed at the extraordinary collection of Filipiniana attire it offers? The specialty in this shop is the high quality fabrics both for men and women like piña, silk cocoon barongs, and ternos manufactured from piña and silk cocoon. This humble shop has been around in Cubao since 1970s, privately specializes within the traditional incarnation of the jusi as well as piña barong having their natural off-white shade as well as delicate embroidery. Furthermore, at Three J’s, this particular classic piece is offered at a low price. The shop imports their materials coming from Laguna as well as Aklan, and as well stocks women’s Filipiniana attire and provides services like Filipiniana tailoring. Highly detailed, vibrant jusi as well as pure piña barongs range the displays of the small shop, and also the prices show that daring Filipiniana statements of fashion do not need to come at the ransom. Furthermore the barongs are available in fascinating colors; in addition they are available sophisticated designs. For instance, it’s uncommon to notice a piña barong having a cheongsam-inspired collar, however at Barong Pilipino, extraordinary is the business. The promise of this shop is to provide modern Filipiniana attire turns out in the refined details. The silhouettes tend to be more sleek, and the fit is actually more detailed to the body, yet the elegance and class of the Filipina stays. Rustan’s is renowned for its luxurious brands, as well as its Filipiniana section will not disappoint you. Fidela, for instance, finds a home in this shop, having its variety of jusi dresses and shawls from piña cocoon. Fidela’s clothes are available in great colors as well as patterns, and so are ideal for the exciting Filipina who would like to celebrate her personality and also the timelessness of the traditional outfit. 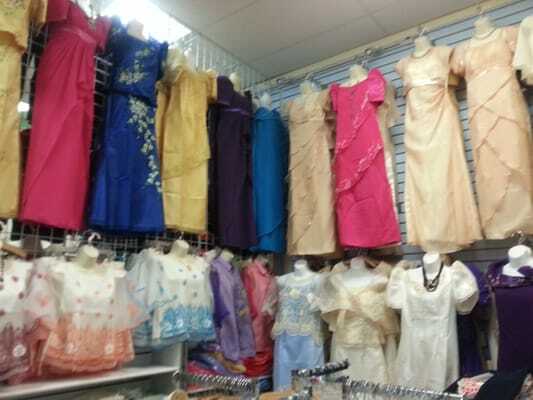 The location of brands like Habing Pilipino as well as Rosas, Landmark is renowned for its wide variety of Filipiniana attire, from the classic and low-cost towards the delicate as well as high-quality. The owner Dita Sandico-Ong defines herself a “wrap artiste,” as well as for 26 years, she has already been designing Filipiniana attire for that elegant, modern Pinay. Although she gets the limited assortment of barongs, it’s the kimonas, wraps as well as panuelos which master her displays. All of clothes are designed in many daring as well as innovative ways-far in the typically prim Maria Clara within Filipiniana garb-and manufactured with light linen as well as piña linen coming from Catanduanes. Silk Cocoon’s deluxe fabrics as well as daring designs are not only dressed for the VIPs but they will make anybody feel as if a VIP. The shop claim to celebrity is that the majority of its garments are designed with hand-woven silk as well as piña as well as can be dyed as much as 2,000 colors. Kultura features one of the largest Filipiniana wear collections and has host to various brands, which guarantee top quality craftsmanship as well as timeless styles. Of these are Burda Nasyonal, that stocks barongs intended for every day wear, and also EN Barong Filipino, with a wide array of barongs made out of materials like piña silk, pure piña, cotton silk, silk cocoon as well as jusi. The term for a fabric made with polyester and ramie called Gusot mayaman, as well comprises the brand’s barongs intended for every day wear. To many people, Tesoro’s would be the name in traditional Filipiniana attire, possessing easily manufactured traditional pieces for a long time. Many recognized for their women’s wear, kimonas as well as patadyongs are basics, but this time, Tesoro’s stocks tops as well as blazers made out of piña silk as well as pure piña. These contemporary designs will go from office toward formal party, and may provide old-world elegance to the lady wearing it. The vibrant and multi-colored Patis Tesoro-designed clothes acquire their own rack.